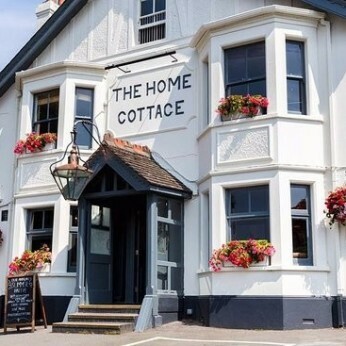 Nestled in the heart of Redhill, The Home Cottage is a magnificent pub and dining room located directly opposite Redhill train station, making it the perfect place to go for a drink after a hard day’s work. As always, we pride ourselves on providing all the best things in life, from traditional cask ales and refreshing wines, to contemporary craft beers and the finest spirits. Not forgetting our deliciously seasonal menus, created by our innovative chef team, using only the best of local produce. After a few months of disruption, we have finally finished our most impressive refurbishment yet, and are back and better than ever! So what’s new? We now have some amazing private function rooms that can cater for any occasion. Whether you’re hosting a formal sit-down meal, a lively birthday party or a professional business meeting, we can provide anything you could possibly need. And with Christmas just around the corner, there is no better way to spend the festive season than with all your loved ones, whilst letting us do all the hard work for you! Ever wanted to know how your gin is made? We’re offering up the unique opportunity to get hands-on with the legendary team behind Beefeater to offer you and a friend an exclusive VIP tour of the distillery and see how the world’s most awarded gin is produced first hand.